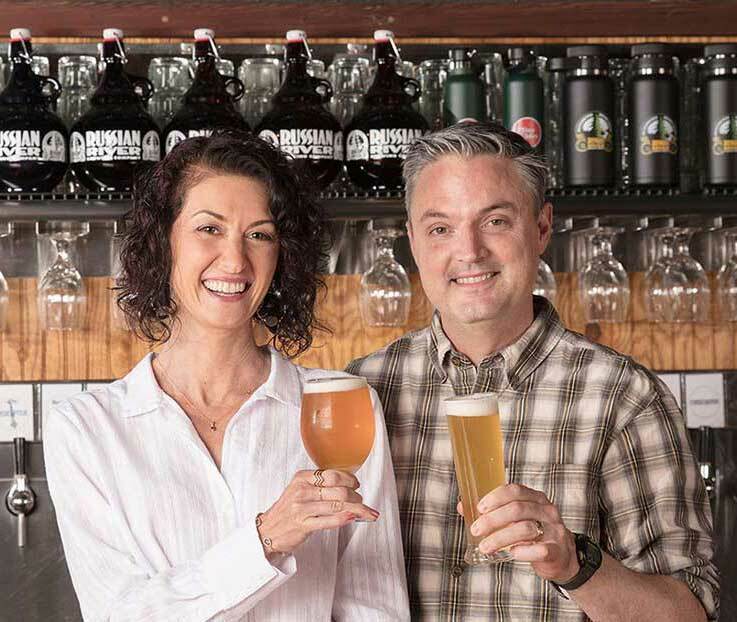 Natalie and Vinny Cilurzo from Russian River Brewing Company are in today for the Brew Ha Ha annual Pliny the Younger 2019 Spectacular. Mark Carpenter and Herlinda Heras are also in, with a big crowd in the studio. For more information about the 2019 Pliny the Younger, visit the Pliny the Younger page on the RRBC website. 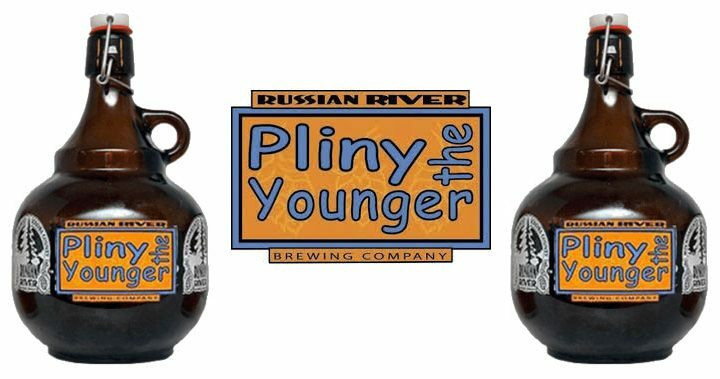 This year’s Pliny the Younger release runs for two weeks, from February 1 – 14, at both their Santa Rosa and Windsor locations. It attracts beer lovers from all over. The release brings a lot of tourist traffic to Sonoma County. This is their 15th year of Pliny the Younger. It’s a little different every year. This one is 10.25% alcohol. Mark notices the nice, light subtle aroma and the full finish. Vinny says that in the past there may have been more differences but the recipe is 90% the same now from year to year. Vinny calls it “a game of hops.” It is based on Simcoe and Amarillo hops, with a few others peppered in. This year there is a bit of Citra hops that contributes a nice tangerine flavor. They are making Pliny the Younger in both of their breweries. Mark says that gives people an chance to discover subtle differences. 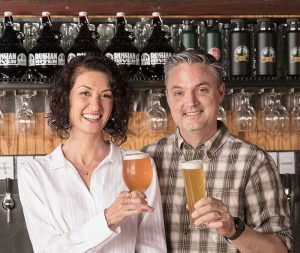 Herlinda Heras says that Russian River Brewing Co. has been named the number two brewery in the world on Ratebeer.com. Pliny the Younger started in 2005 as a winter seasonal beer to use some of their idle capacity during the slower months. They were already making Pliny the Elder and he wanted to test the limits of how much hops he could get into the beer. For the first few years up to about 2009 it was not a huge deal. In 2010 everything changed. When he showed up the day of its release that year, there were people waiting outside in the early morning. Sites like Ratebeer and Beeradvocate were new. Vinny says that the difference between the beer and wine industries is that in the wine world, expert advice rules, but in beer, the public rates the beers online. Natalie talks about all the preparation they have to do for Pliny the Younger days. The cities of Windsor and Santa Rosa have been very supportive. Herlinda also tells about the shuttle that goes to other breweries, wineries, cider houses and hotels. Mark suggests taking the self-guided tour at the Windsor facility while waiting for Pliny the Younger. They just brewed Happy Hops today so that will be available too. Russian River Brewing Co. also has lots of other great beers and Mark mentions one called Dribble Belt. That’s a part of the hop harvesting machine that separates the hop cone from the stems and vines. Vinny named a beer after it. Another was Scratching Post, a 4% Belgian style beer that Vinny hopes to make again. Herlinda mentions that RRBC is also dog-friendly. They also have great food on the menu in both locations. Natalie says that they don’t do special events because they hate having to close the business to other customers.